As I was cleaning out the office today I found some cheap frames I had bought from the Dollar Tree that are too small to fit the pictures I needed framed. Since I didn't have the receipt I couldn't exchange them so decided to get creative. 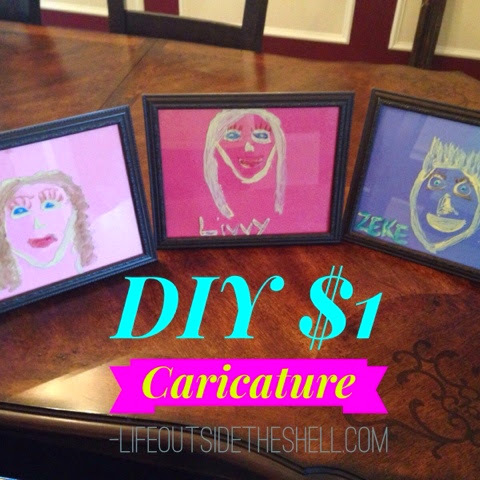 I said a little prayer for God to show us something fun to do this afternoon and in pops a random idea: draw caricatures of the kids on the frames. 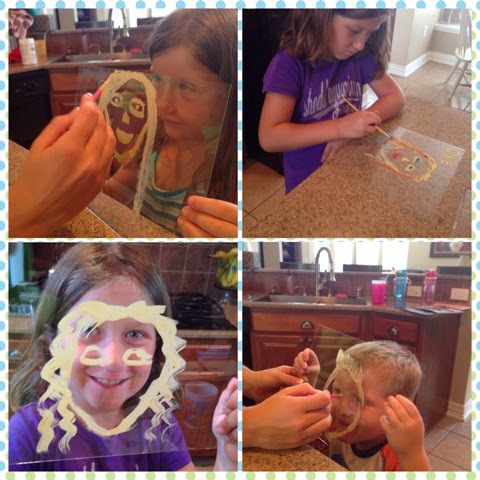 The kids had a blast doing it and the best part was that we had everything on hand! 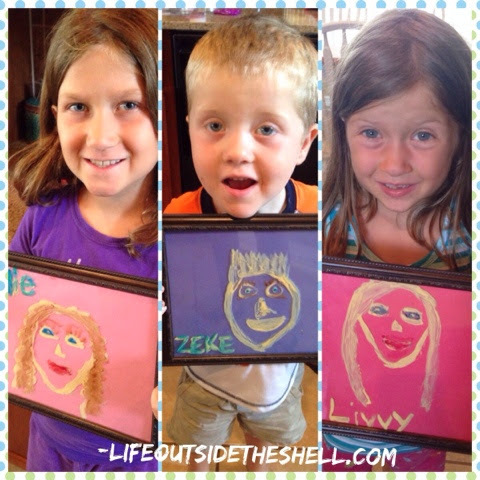 Remove the glass piece from the frame, have your child hold it in front of their face(this was their favorite part) and start painting! After I did the face I let them color in the eyes, lips, hair, etc. Next put it back in the frame and put your choice of construction paper behind it(this helps it show up a little better). Here was our finished product! Next time we will get even more creative with paint colors and facial expressions:) Have fun! Why Life Outside the Shell?